Spinal Decompression Therapy is a non-invasive treatment that may help anyone that has pain in the neck or back areas. It is recommended treatment that is proven effective in relieving bulging discs, herniated discs, degenerative disc disease, sciatic, facet syndrome, spondylosis arm & leg pain and even failed back surgery. 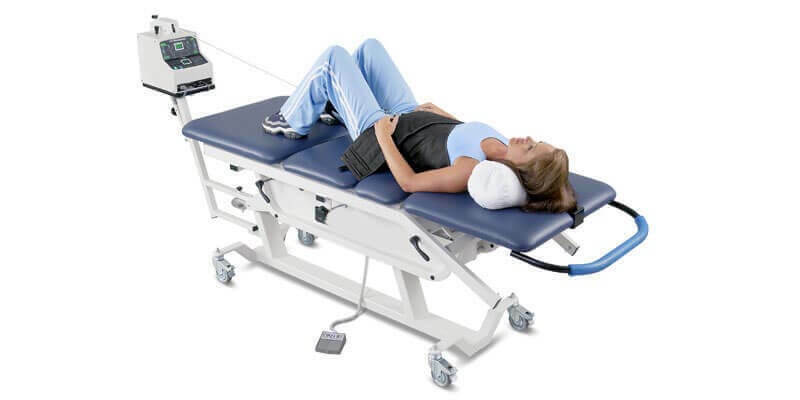 Using a special computerised table that is programmed specifically per individual non-surgical spinal decompression creates more space between vertebrae, allowing rooms for the nerves to function properly. With proper spinal care and decompression, the discs have their best chance of re-hydrating and receiving nutrients to fully heal, allivating the pain to bring to the life back to normal. Spinal decompression treatment by itself takes 15-20 minutes. However our center uses a combination of chiropractics and additional therapies each visit to enhance the overall health and wellness of the body for a faster recovery.